At The Shores Treatment and Recovery, we believe it takes more than simply providing the most modern medical and counseling services available within the treatment industry. It also requires the trust and faith in a loving and forgiving God to completely heal our hearts, bodies and broken relationships from the depths of any addiction. Our faith based Christian program IS NOT a hard hitting sermon designed to make one feel horrible about themselves. We choose to use a very loving, slow consistent approach that never pushes or forces an individual into feeling uncomfortable, or worse than before they came to us for help. This method has had overwhelming positive results, and creates thoughtful personal life changing answers that gives hope for a new future with God as the driving force within their recovery. We are unlike most other treatment centers that say they have a “faith based addiction treatment program,” which often translates into receiving a Bible to read and figure out on one’s own, or given a workbook that provides a template for all to follow. Led by our CEO and Founder/Owner Lyle Fried who is also an ordained minister, our therapists and counselors are all well versed in biblical counseling and several others are also practicing licensed ordained pastors with years of substance abuse treatment experience. When either you or your loved one comes to The Shores Treatment and Recovery we promise to care for each person not just as a member of our family, but as a special member of God’s beloved family. 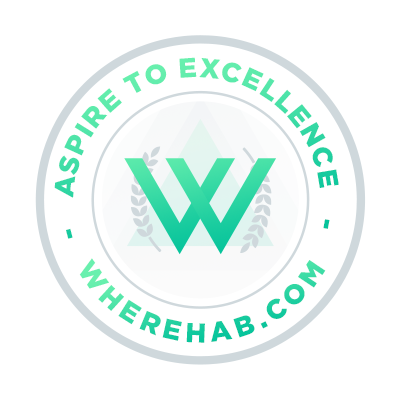 Why is the Shores Treatment and Recovery such a trusted Christian Rehab Center? There are so many aspects of our various programs that defines our differences, and makes our long term success rates so much higher than other faith based recovery programs nationally. As a company, we feel truly blessed by how God has been using us to help our clients change, and reshape their lives away from their addictions, and showing them the better life that He has planned for them. Our goal is to provide an optimal Christian drug and alcohol rehab environment with services that allows those suffering from these addictions and other related mental health disorders the very best opportunity at life-long recovery and happiness. As an industry leader with Joint Commission Accreditation, 5 levels of State Substance Abuse Licenses, Medical Group License, Pharmacy License, and Housing Licensing and Credentialing we hold ourselves to the highest of both moral and ethical standards. We also serve as a teaching and consulting facility for other “faith based” and “secular” programs nationally, and we work hard to help steer our industry’s standards of care to higher levels. We are most proud of the extremely high rates of long term successful results that we see from our clients. Nothing makes us happier than when we see and hear how our alumni and their families have changed their lives by their newfound freedom from their addictions.